Follow the waters and discover new horizons on a cruise holiday like never before. We've got an amazing selection of the world's finest cruise holidays. Take your pick and get ready to sail away! 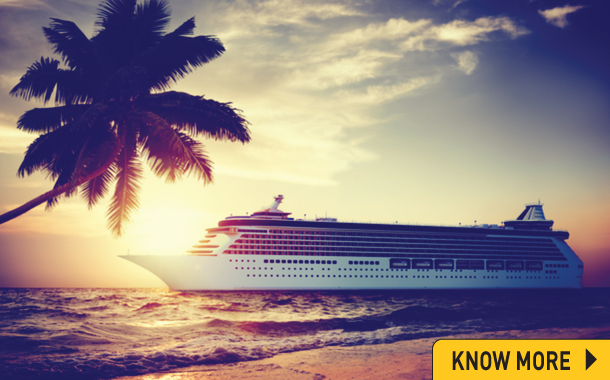 A day in a cruise is something that is difficult to recreate in any other way. Moments spent in a resplendent cruise having an intricately designed interior with state-of-the-art facilities and unmatched services will dazzle and entertain you no end. Do give yourself this chance even if you haven’t yet; remember it is better late than never! Book your Cruise packages now!